will you have a recommendation on that stock ? PerseusLtd wrote: Big News !!! congrats,are you still in ? Last Edit: 8 months 1 week ago by ron. Golden Ridge Resources Ltd. (“Golden Ridge” or the “Company”) (TSXV:GLDN) is pleased to announce that drilling has commenced at its Hank project located in BC’s Golden Triangle. 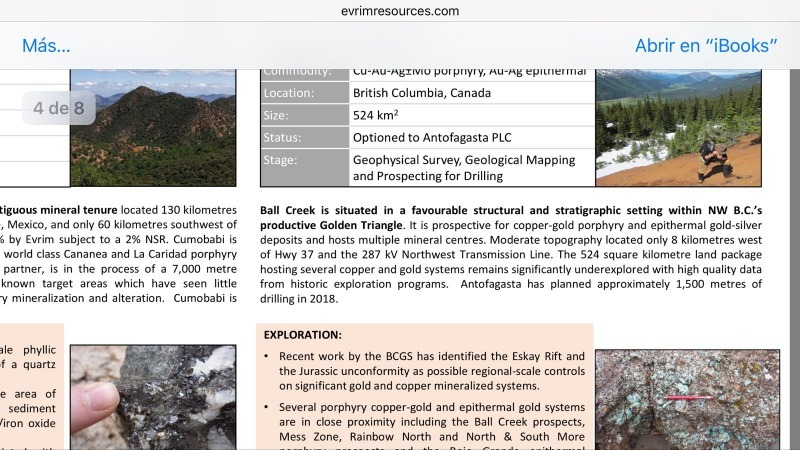 The first hole will test the Williams Zone, a newly discovered alkalic Cu-Au porphyry system centered on a potassic altered, 400m diameter breccia pipe. A second drill rig is currently on site and will begin testing the newly discovered Kaip Zone which returned 21.62m of 6.26g/t Au and 52.1g/t Ag in hole HNK-17-009 (see June 8, 2018 press release). anyone noted giant Antofagasta will be drillling next to GLDN's Hank come this Spring/Summer? Last Edit: 11 months 4 weeks ago by PerseusLtd.